Tonight’s meeting included 3 amazing speeches and the return of a table topics classic. 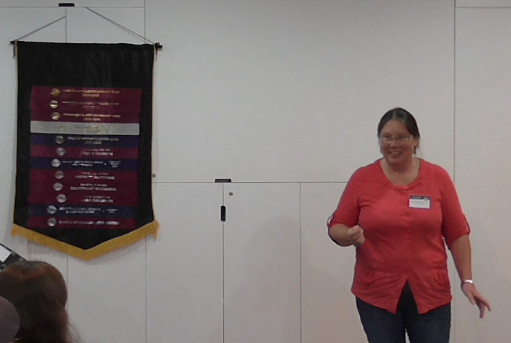 Toastmaster Ellie organised the meeting to perfection and we all had a great time. Before the prepared speeches, Eva took on the role of Grammarian and challenged us to use the word “imagine” in our speeches. Eva gave great examples of how the word could be used, and explained why we all need to do more imagining in our lives. 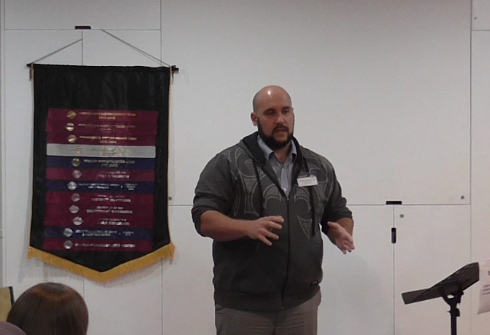 The first speaker was Dave Batchelor, who was completing speech 10 of the CC manual. 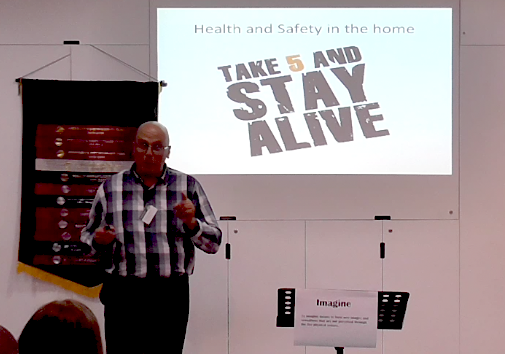 Dave spoke about safety in the home, and gave us 5 steps to follow that will make sure we don’t hurt ourselves. It’s amazing how people forget basic common sense when they’re in their own home. Thanks Dave! Next up was Jennifer, who inspired us with a tale from her days travelling overseas. Jennifer explained that she isn’t fluent in any foreign languages, but it’s amazing what a little effort and a big smile will do to facilitate communication. The final prepared speech was by JP, who was practicing his International Speech contest entry. JP spoke of his journey as he was delivered bad medical news, and how he came to deal with the inevitable treatment and recovery. It was a very powerful speech and we all wish him well in the upcoming Area contest. Table topics were run by Matt, who reintroduced one of our classic topics – Cluedo! Members were called to the stage and were given a room and a weapon that they had to incorporate into their “alibi”. For example, David K had to explain why he was found in the billiard room with a dagger at the time of the murder! After the supper break we had evaluations from Binaya, Jane, Dave Young, and Jessica, and the timer for the evening was Jan. Next week we are visiting the Area G3 contest. It should be good fun!